The products that stood out to me from the January 2014 Birchbox were the Rodial Bee Venom Moisturiser, the Philip Kingsley Moisture Balancing Conditioner and the Benefit The POREfessional. 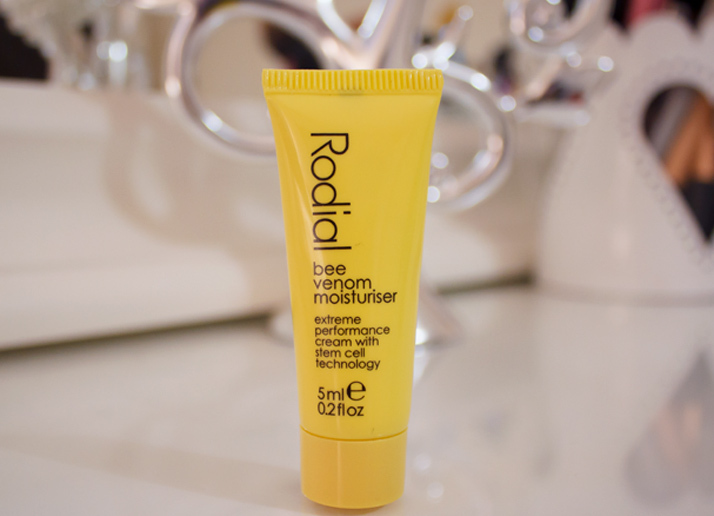 Rodial Bee Venom Moisturiser || The description of this moisturiser says it’s ‘an advanced formula that revitalises and renews for naturally younger looking skin’. First of all, I’m going to ignore the silly price tag of £150 and talk about how the product felt on the skin; the cream is thick in consistency and it feels quite luxurious on the skin, despite that, it also sets fairly quickly not leaving a greasy residue behind. The scent can be a bit annoying, but other than that, it felt lovely on the skin. As I mentioned above, this baby costs a whopping £150 for a 50ml tube! As lovely as it is, I don’t see myself repurchasing this any time soon. Philip Kingsley Moisture Balancing Conditioner || Having tried the Philip Kingsley Elasticizer and being completely blow away by it, I’m very keen to give this conditioner a go. It’s aimed towards medium textured, wavy or chemically processed fine textured hair; my hair is thick, wavy and chemically treated, so it fits perfectly into this category! I’m looking forward to seeing if it lives up to the expectation – bring on shiny, smooth and tangle-free hair! 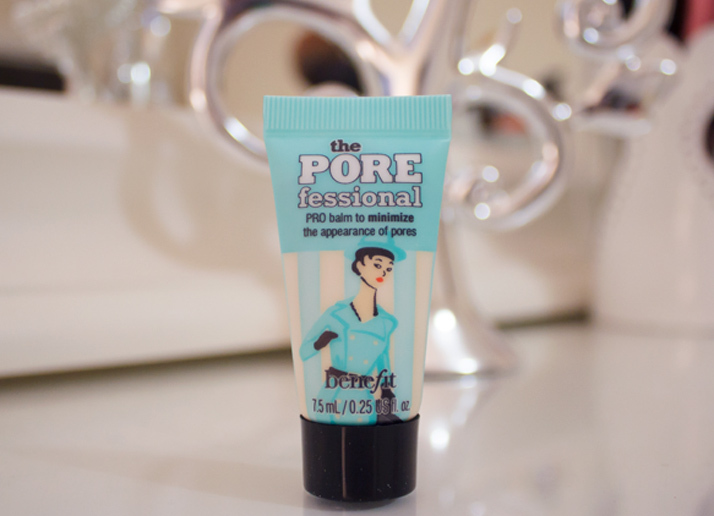 Benefit The POREfessional || I’ve been using this face primer for a very long time now, and in case you missed, it even featured as the best face primer of 2013 on my Best of 2013 video. It’s a silicon-based primer, which smooths the surface of the skin and blurs out imperfections. On a good skin day, I use this on its own instead of foundation, but I also like to use it underneath my foundation on special occasions for a flawless finish. I highly recommend this primer! What do you think of this month’s Birchbox? Are you a Birchbox subscriber? 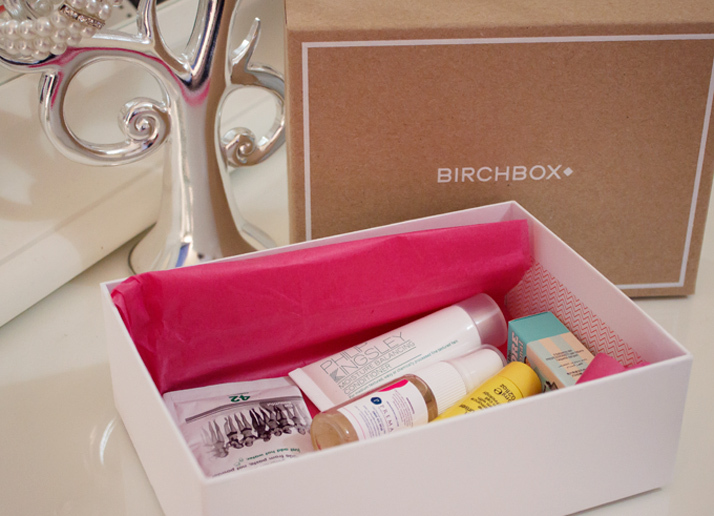 I actually just joined Birch box after receiving an AWFUL Glossy Box this month. Time for a switch – looking forward to it!